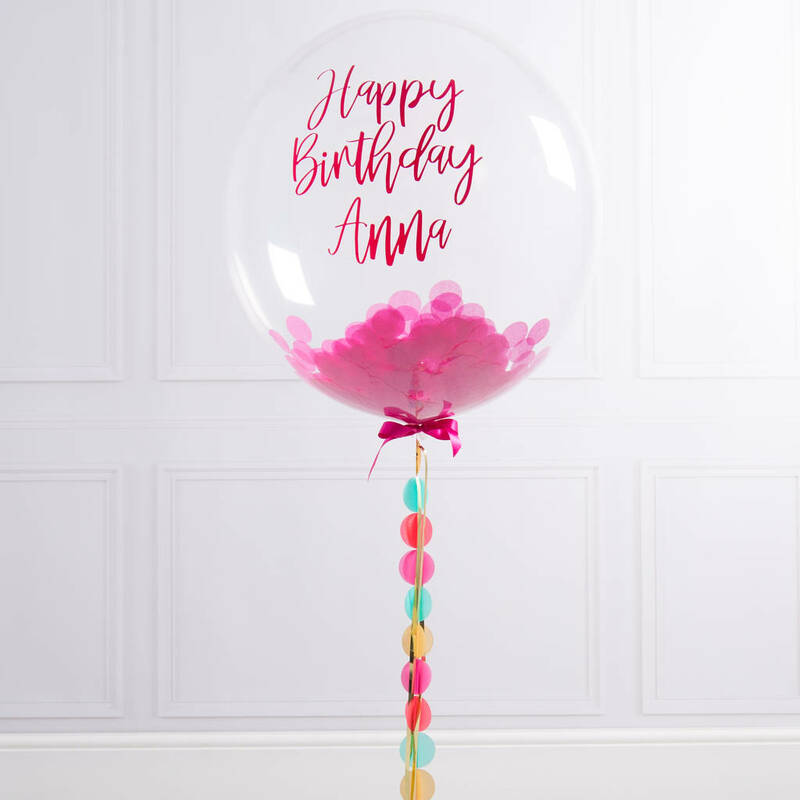 A stunning balloon that is perfect for saying happy birthday! 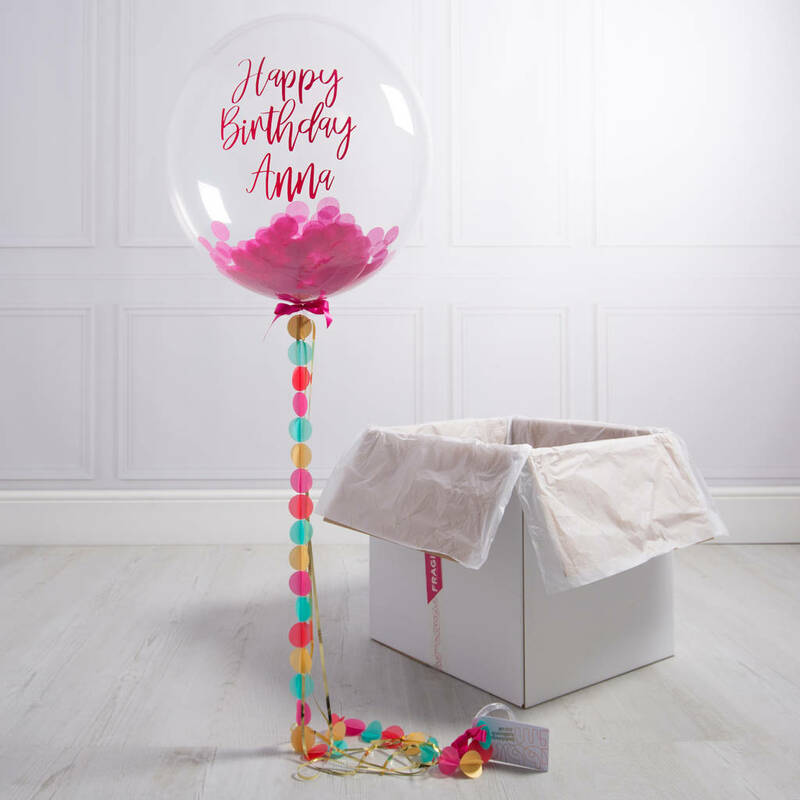 Send someone special the birthday balloon to help celebrate their special day or to decorate a special party. 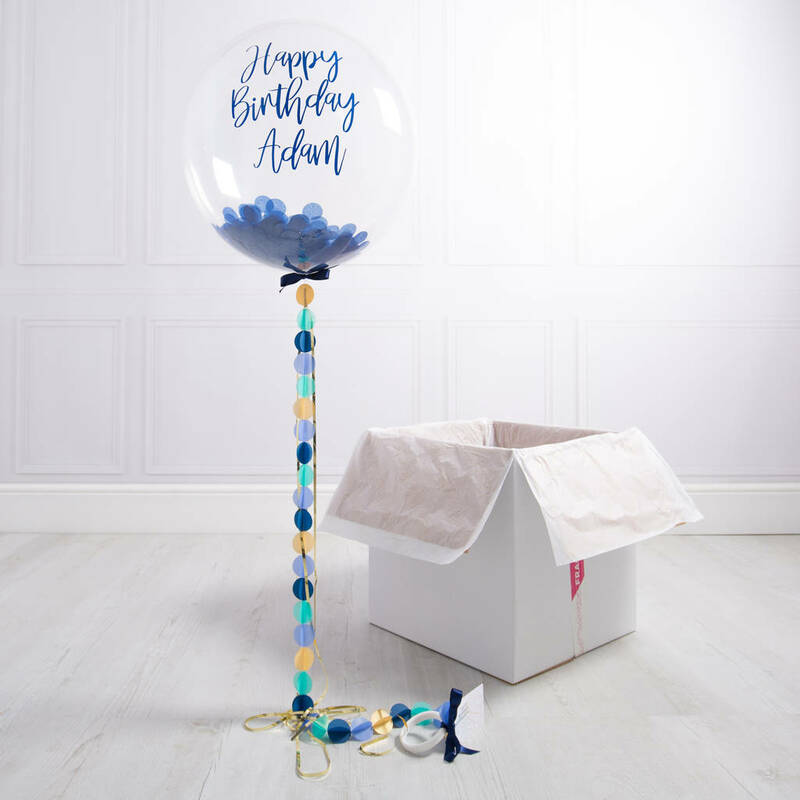 This balloon is made in 3 different colourways for you to choose from, each balloon is filled with hand-cut multi-coloured circles of tissue confetti and the handmade tail is decorated with gorgeous 3D circles. 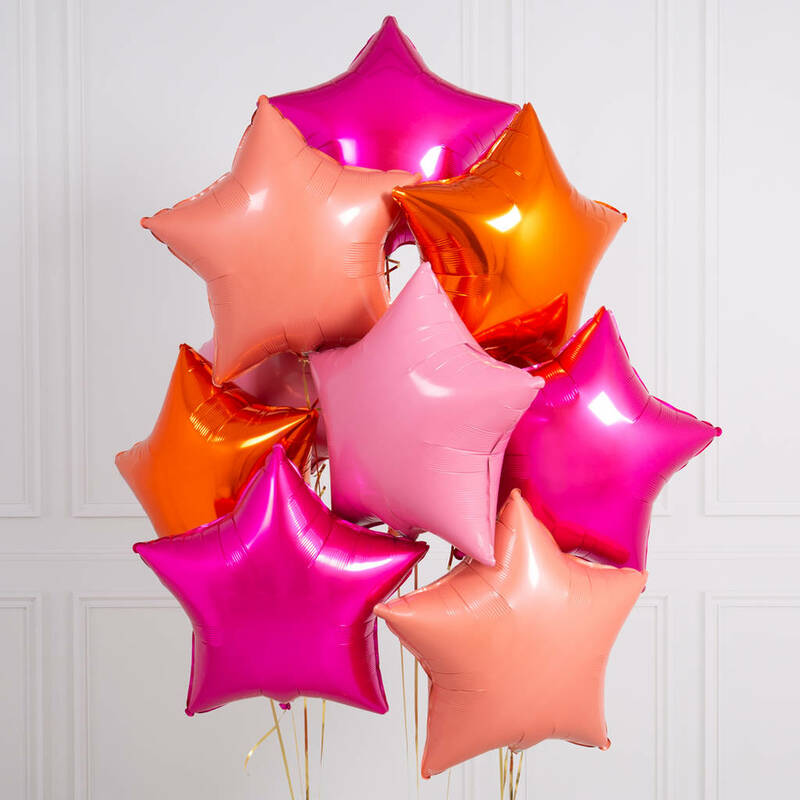 Each balloon is finished off with a Bubblegum Balloons signature bow. 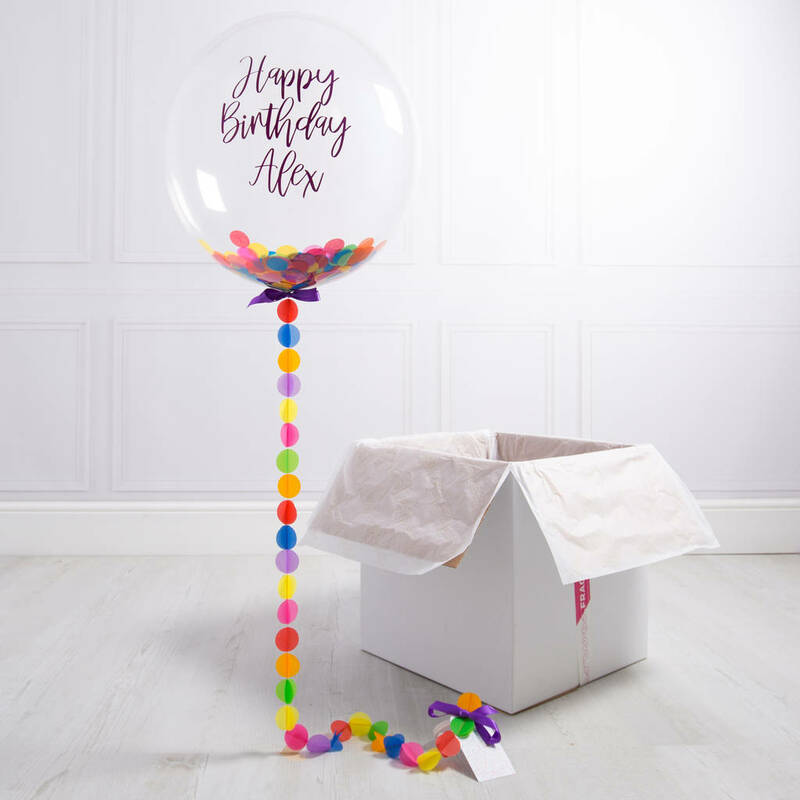 Filled with helium, on arrival the balloon will float out of the box to surprise and delight the recipient. 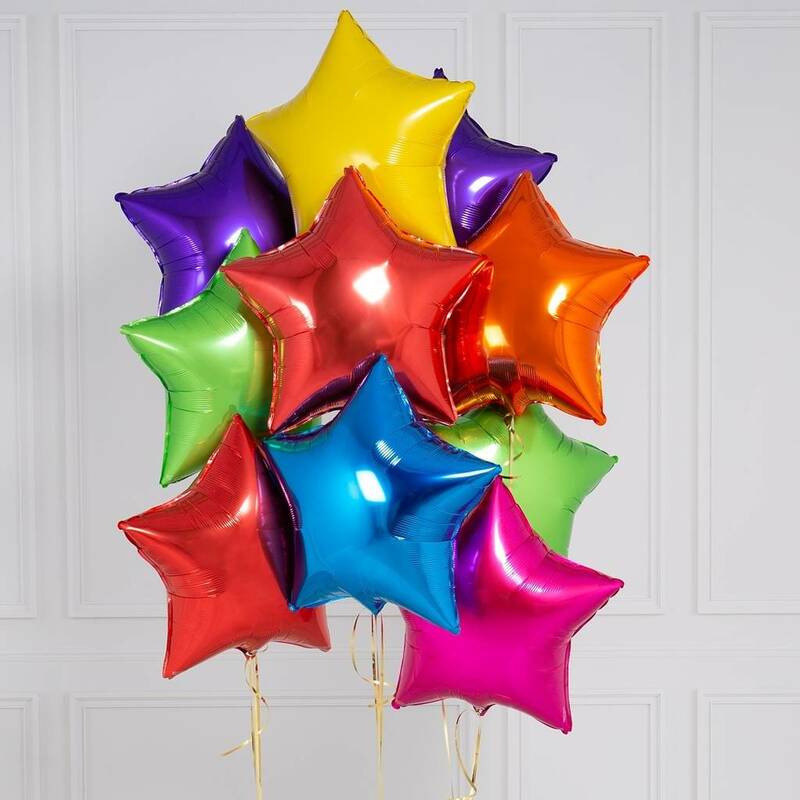 Sure to let them know how great you think they are! 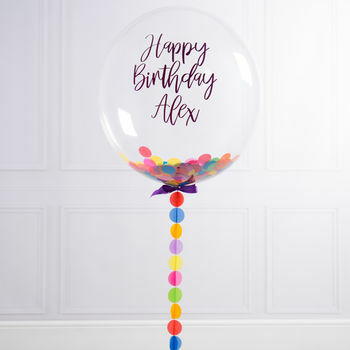 You can have 'Happy Birthday' written on the balloon or you can write your own personal message on the balloon. 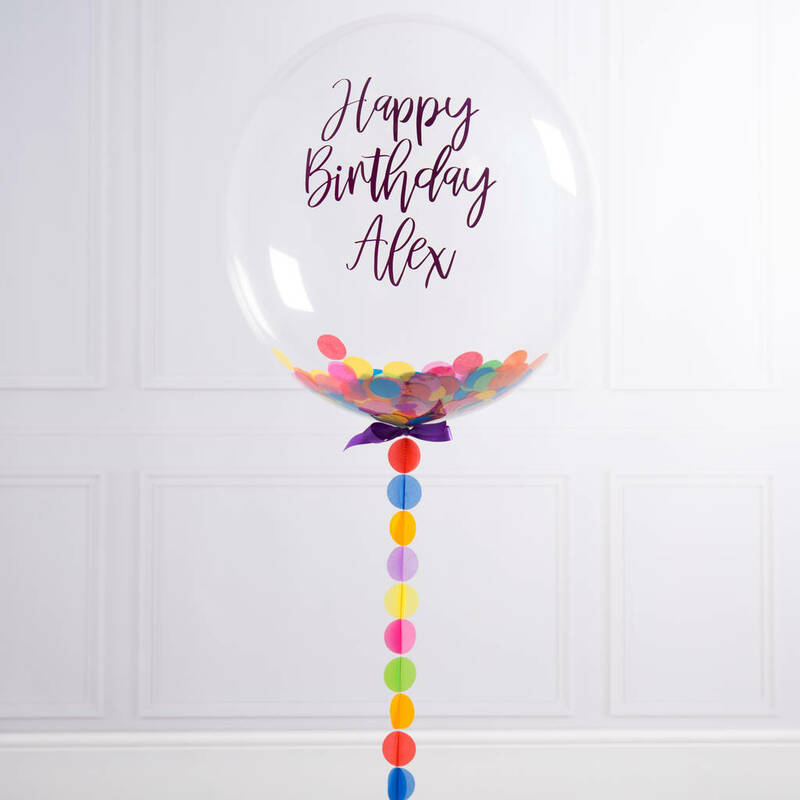 You can personalise this balloon by adding your own gift message which will be printed on a Bubblegum Balloons gift tag at the end of the balloon tail. 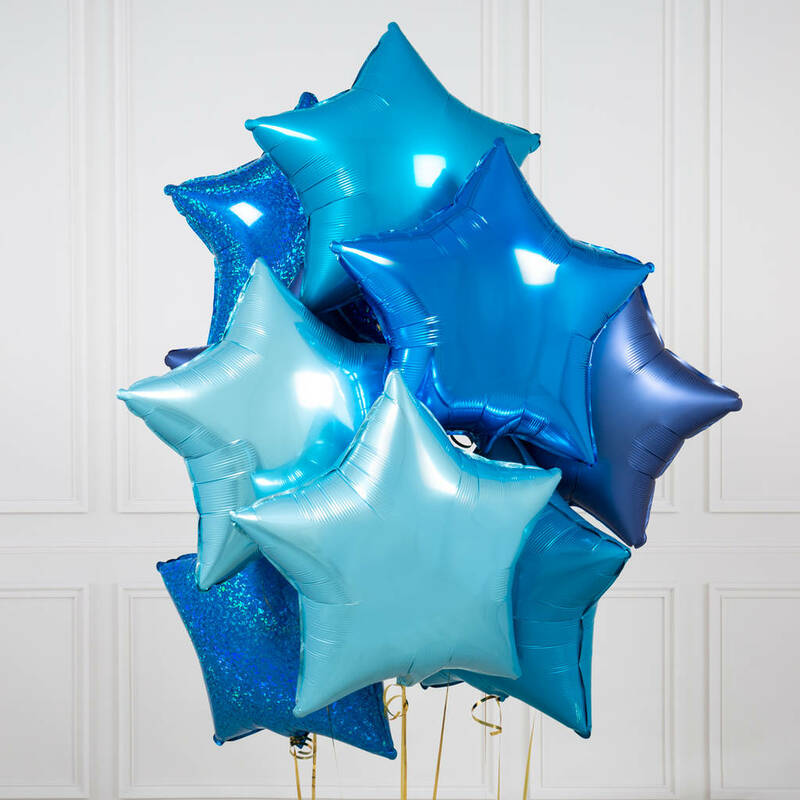 The balloons are made from plastic making them very durable. Tissue confetti. 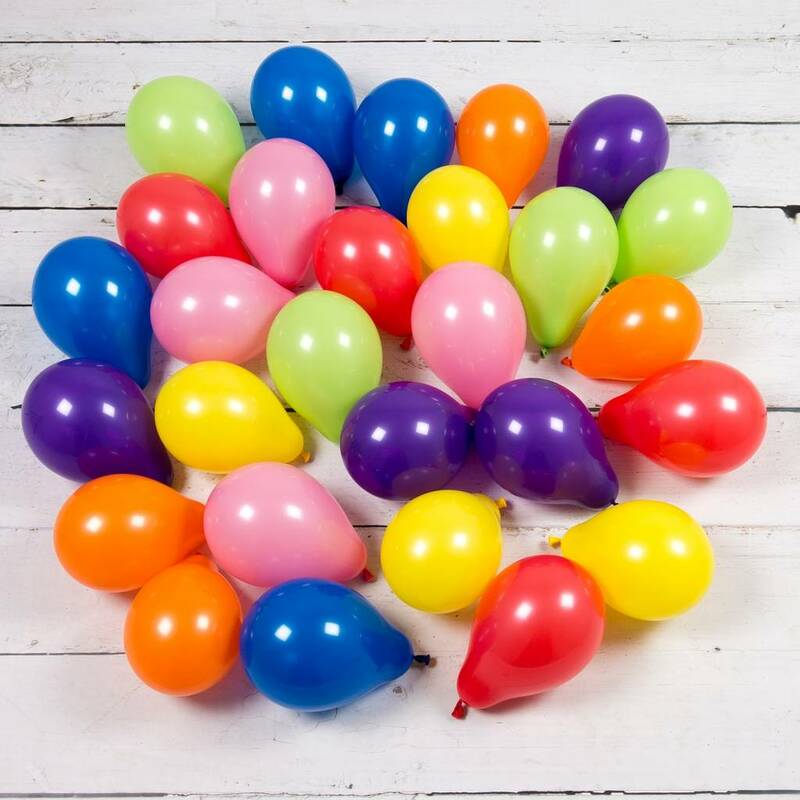 The balloon can be expected to stay afloat for approximately 1-2 weeks, but the record is 4 weeks! 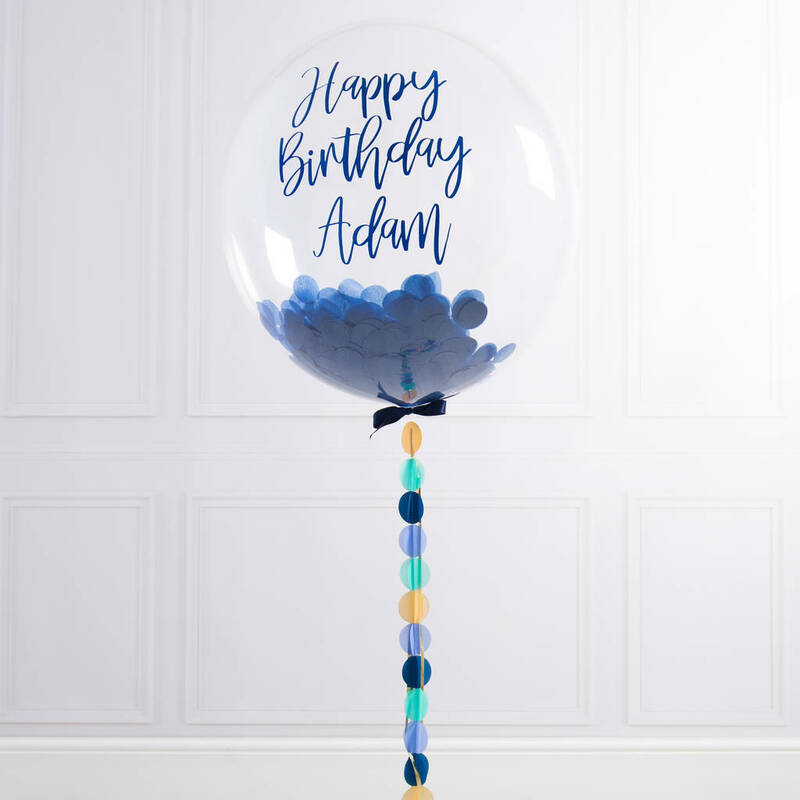 The numbers and writing that you can choose to add to the birthday balloon are stuck on and will begin to peel as the balloon slowly starts to deflate. 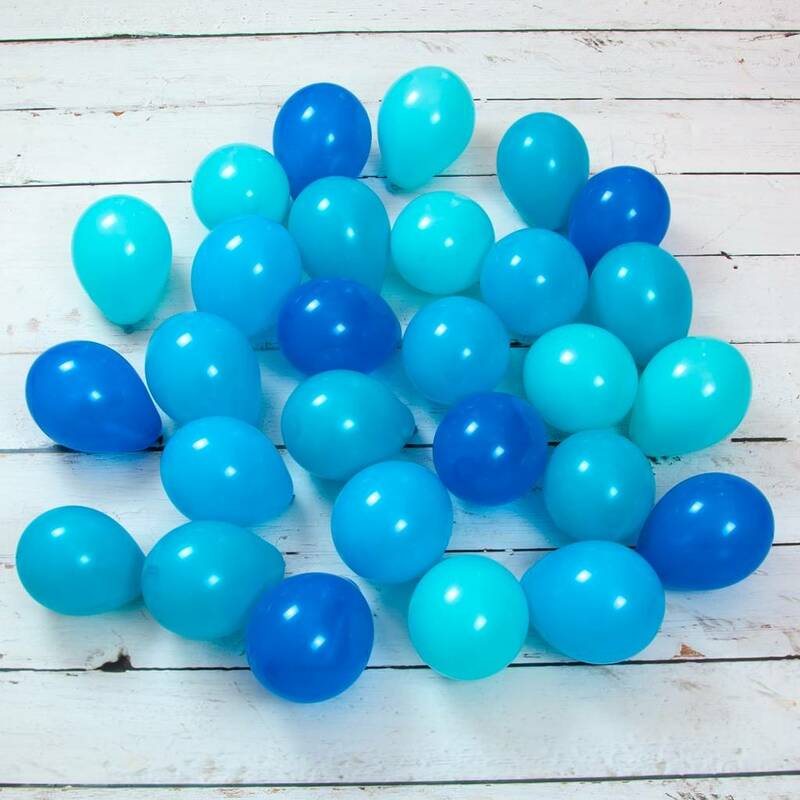 Each balloon is carefully wrapped in sheets of tissue paper inside the outer box. 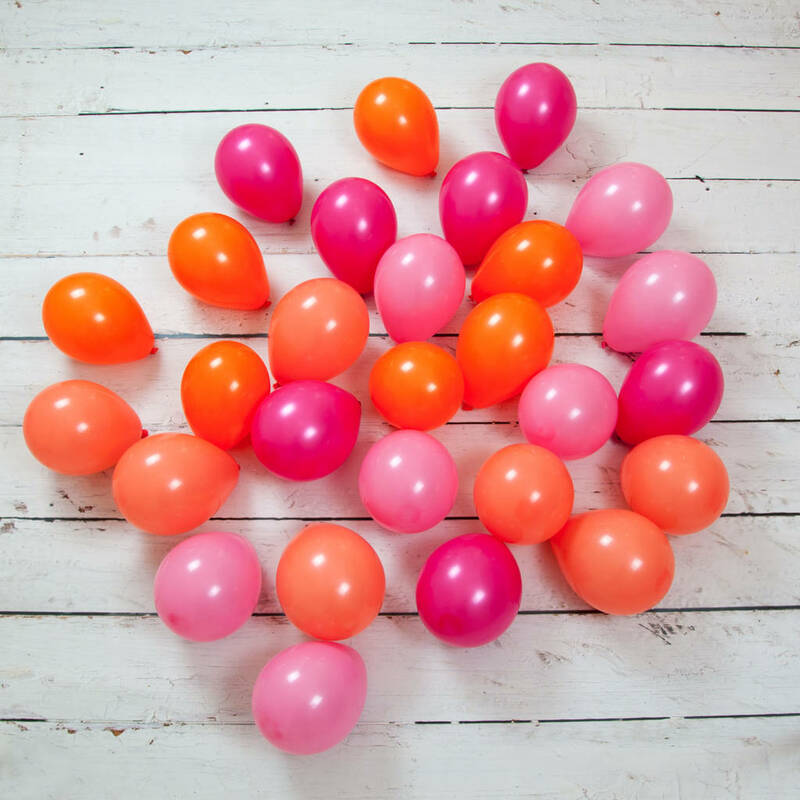 Each Bubblegum balloon is approximately 40cm diameter and the tails are approximately 1.5m in length. The box the balloon is sent in is 40cm squared.